Try using arandr (graphical version of xrandr) and perhaps using customization specific to your card. For example, if you are using the fglrx driver, use the AMD Catalyst Control Center. Nothing too exciting. 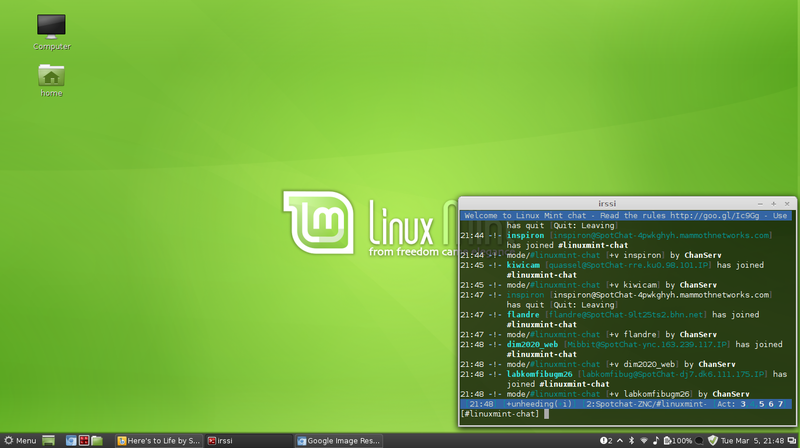 I just reinstalled because I got sick of Ubuntu and the xorg-edgers ppa kernel locking up my system. Also I wanted to use KDE but 4.10 broke. So back to Cinnamint it is! unheeding wrote: I've updated the theme, and included a way to have applications launched using sudo have red controls. 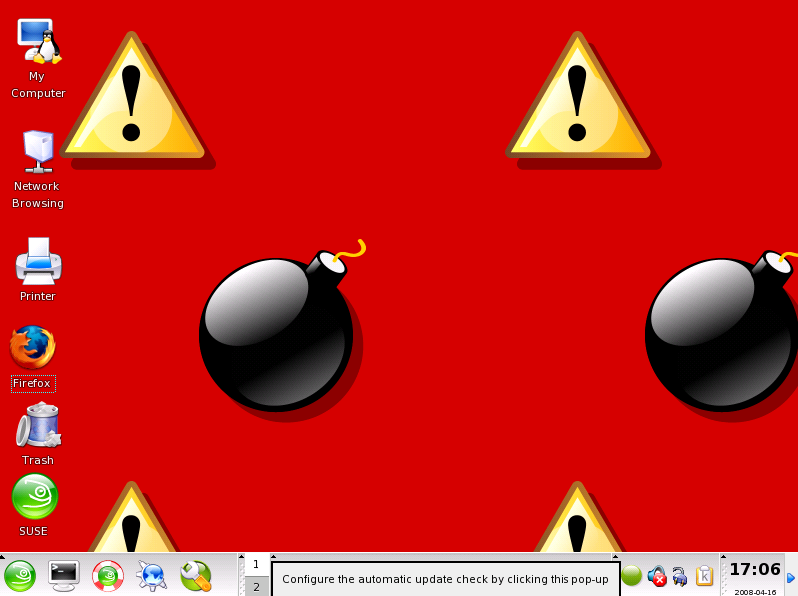 I was inspired by things like this, where when you logged into the GUI as root back in the day, it would show a red wallpaper with bombs on it.